I posted about a month back that Valve was making the soundtrack for Portal 2 available for free download from their site. Volume 1 had just been released, with hints at a volume 2 available in the near future. Well, the wait is over and a new block of 18 tracks is available for free download at the link above. The dark electronica themes continue into this volume, and I’m looking forward to giving them a thorough listening-to (been rather busy at work). Not included for download is the extremely catchy ending song, “Want You Gone” by Jonathan Coulton. He wrote and composed “Still Alive” for the previous game, and his dark humor and ability to craft diabolically infectious earworms is still in strong form. I discovered the Saint’s Row series after Yahtzee (of Zero Punctuation. If you’ve never seen his reviews, check him out. Now.) gave it high praise as a GTA IV clone that dumped all the angst, grit and cousin-caretaking in favor of flat-out ridiculous fun. Based in large part on that recommendation, I decided to give Saint’s Row 2 a try when it came to Japan. Quite simply, the game was fantastic. I’d never played the first Saint’s Row, but the intro gives you as much backstory as you need: you’ve been in a coma for five years after a bomb explosion (an actual event at the end of Saints Row 1), and in the meantime the Saints have broken up and three new gangs have taken over the city. Most of this is fed to you in the course of gameplay, so the flow is very smooth. You then free your best friend from death row, get a few new lieutenants working under you, and get to work taking over and taking apart the entire city. Like GTA IV, you’re dropped into a sprawling metropolis with miles of highways, streets and alleys to explore. Unlike GTA IV, you’re not constantly being pestered by your cousin asking to go bowling or to strip bars, and there are no relationships that need tending. You can pursue the actual storyline at your leisure (and you’re free to pick and choose which of the three storylines to advance), and there’s enough fun to be had with the side games or just screwing around to keep you occupied for hours on end. The best part about the game, however, is the humor. The team at Volition understood the nature of people who want to be let loose in a citywide sandbox for the purpose of creating chaos and catered to them 100% with side games that included flinging yourself into traffic, flashing pedestrians, car surfing, and dousing entire neighborhoods in raw sewage. Plus, the dialog was hilarious, and even just walking down the street listening to passers-by was a treat. But that was three years ago, and while I still come back to play it now and then, I’ve explored all it has to offer. Today, I saw this: the Saint’s Row: The Third trailer (hosted by the Escapist). It looks great, but then most trailers do. It’s by the Volition team again, so that’s a good sign that it will have the same high-energy blend of humor and action. Unfortunately, my 2008-vintage PC may not be up to the task of running it. Release is scheduled for November this year, so I’ll be on the lookout for it. 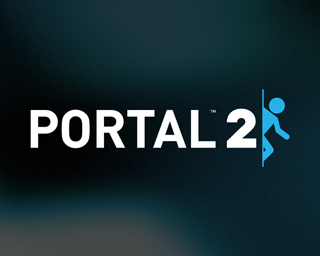 The wonderful folks at Valve have made the in-game music for Portal 2 available for free download. The 22 songs in volume 1 (volume 2 is supposed to be up soon) are mainly industrial-themed instrumental electronica, but with a number of classical influences added to the mix. I’ve been giving them a listen over the past few days, and one in particular, “Ghost of Rattman” stands out as one of the creepier ones. I should run it through an audio editor to see if the vocal rhythm is using any intelligible words. It sounds like there are bits and snatches here and there, but it’s either being played backwards or clipped in mid-word so that only half-syllables and tortured grunts are left. Incidentally, never having played Portal, I had no idea about the complex back story created around the game. Rattman doesn’t appear anywhere in the first game, but is supposed to be a former researcher at Aperture Science and one of the only survivors of GLADOS’ rampage. Living in the crawlspaces and gradually succumbing to psychosis, he’s the source of the famous “The Cake Is a Lie” line. I wanted to include “Ghost of Rattman” here, but I need to purchase a space upgrade to load music files. I may consider that at some point.